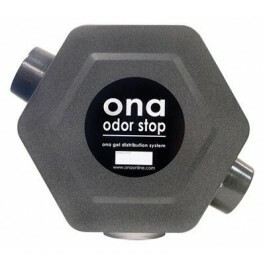 The ONA Odor Stop is an excellent dispenser fan for medium duty application. It has a high volume of airflow combined with a profile that can be conveniently placed anywhere odor neutralization is required. 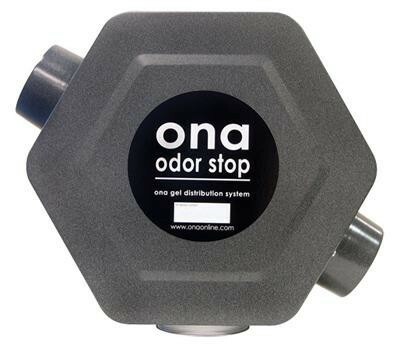 The Odor Stop features a variable speed fan to distribute ONA Gel up to a maximum airflow of 225 cubic feet per minute (CFM). It provides odor neutralization for a room up to 10,000 sq. ft. It is designed for the 1gallon ONA Gel container, which will last for 4-6 weeks.